The Reference Group includes (from left in the photo) Trish Hindmarsh, Veronica Lawson RSM, Fr Denis Edwards, Mary McDonald SGS, Bernard Holland, Sue Martin and Chris Carlile. 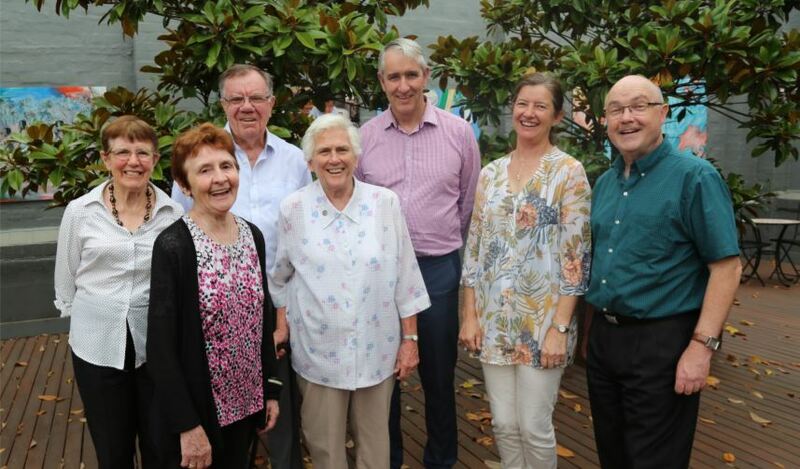 With Catholic Earthcare Australia operating within the governance structures of Caritas Australia, it has reformed its Advisory Council as a Reference Group to support of our strategic planning with Laudato Si’ at its heart. Membership of the Reference group has been drawn from almost every state with continuity of four members from the Advisory Council and two new members. The Group will meet four times a year, of which at least one will be in person. It is anticipated that a new strategic plan will be developed and published early this year. Santa Sabina College, Strathfield, and Mater Maria College, Warriewood, undertook staff formation days around Laudato Si’ in Term 4, 2018. 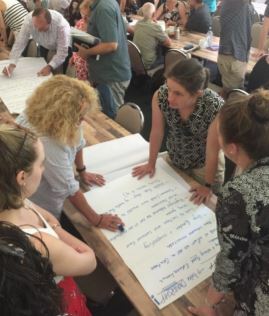 Catholic Earthcare facilitated these workshops and in the case of Mater Maria College, Sue Martin from Sustainable Catholic Schools NSW and Anne Lanyon the former Deputy Director, Columban Mission Institute, assisted on the day. Mater Maria College is now moving ahead with a strategic plan which will be supported by Catherine Judd, the newly appointed Broken Bay Diocesan consultant. We hope this is the start of an eco-hub along with the feeder primary schools, including St Anthony in The Fields Parish, Terry Hills. 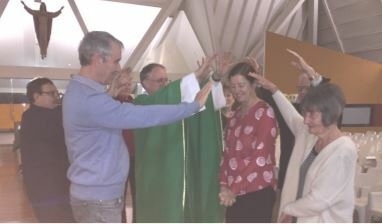 In October last year the Parramatta Diocese took the step of appointing an Earth Minister, Sue Martin (being blessed in photo) to commence the journey of supporting parishes to transform themselves in light of implementing Laudato Si’. Based in her Holy Family parish, Emerton with Fr Greg Jacobs, Sue aims to build upon their existing work with the primary school and parish and help other parishes transition to more energy efficiency, build greater biodiversity on site and empower others to do the same within their own circle of influence at school and in their parish. “The unique relationship between parish and parish primary school provides so many synergies and opportunities for cooperation, shared endeavors and mutual support,” said Mrs Martin, who is both a mother and a grandmother and dedicated parishioner. At the global level, it is a complex system linked to many of the essential conditions for human life. or her own culture, experience, involvements and talents. Diocese and Parramatta aims to lead in New Sound Wales. Will your diocese be next? Talk to us to help coordinate. “If people can truly understand what is at stake, I believe they will give permission for business and governments to get on with the practical solutions. And as a species, we are expert problem solvers, but we’ve not yet applied ourselves to this problem with the focus that it requires. We can create a world with clean air and water, unlimited energy, and fish stocks that will sustain us well into the future, but to do that, we need a plan. Over the next 2 years there will be United Nations decisions on climate change, sustainable development, and a new deal for nature. Together these will form our species’ plan for a route through the anthropocene [age of humans]. What we do now, and in the next few years, will profoundly affect the next few thousand years. Over the last few months I have met with the heads of our Church including Bishops, Vicar Generals, Educational and Hospital leaders and conducted workshops and presented to forums. One thing is clear. There are well intended people in our Church. They are well grounded in their faith, Laudato Si’ at their heart and foster wonderful examples of Laudato Si’ in action. These efforts are, however, largely disconnected from a larger coordinated plan or governance structure that would support systemic improvement. It is not surprising that people can sometimes feel alone as they try to Care For Our Common Home. Three years after the launch of Laudato Si’ and 16 years after the launch of Catholic Earthcare it is a sad indictment that not one Catholic Diocese or Church agency appears to have all the pieces of the jigsaw puzzle in place, yet. Some edge pieces are evident where formation has taken place and committees established. Some clearly linked pieces are visible such as appointed staff so one may see how the whole picture might look, early on. Sadly, no organisation has what I describe as ‘joined-up-thinking’. A process and structure whereby Laudato Si’ has been brought to the heart of their organisation and all stakeholders are bound together around one moral imperative: Caring for Our Common Home. 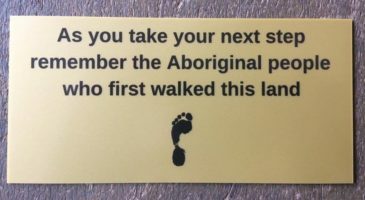 To be fair, society as a whole is sitting back waiting for leadership, waiting for political and social support. Yet as a Church we have, I believe, more imperative than civil society in this regard. We have a theological basis for our actions and we have an ethical commitment to the ‘Cry of the Earth and the Cry of the Poor’. But Time is running out! Formation has been and continues to be central to our Church’s growth in this area. However, we must dialogue, dialogue, dialogue and coordinate our actions on the big issues of carbon emissions, loss of biodiversity, pollution and the scarcity of water. This could be the ‘Good News’ our Church needs right now and leadership the whole community requires given we have 1 in 5 school desks and 2 in 5 hospital beds in Australia. Are you being the change you want to see? Call Catholic Earthcare on 0400156249 to discuss Laudato Si formation and planning opportunities further. Catholic Earthcare is 16 Years old and one of the earliest resources developed was The Garden Planet One of the first Statements by the ACBC with Catholic Earthcare support were The Gift of Water. Ironically the story of the Murray Darling basin has not improved in that time! Send published articles to catholicearthcare@caritas.org.au. We will promote them on our media channels as well to help spread Our Church’s Good News. Last year an Australian school made the finals and went to the ceremony in the middle east. Could this be your school this year? The 2020 Zayed Sustainability Prize will shortly be open for submissions. We are the Prize’s Outreach Partner in the Pacific region and we assist schools in preparing prize submissions; a service we offer free of charge. We require a new and universal dialogue. Catholic Earthcare , Ballarat has its own website, resources and is embedded earnestly into the fabric of the diocese. 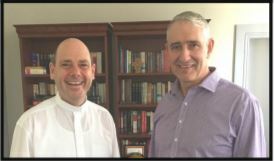 While travelling to Qld for Christmas Bernard Holland visited the Lismore and Armidale Diocese.